Since 2004, Coin-Op TV broadcasts arcade games shows. 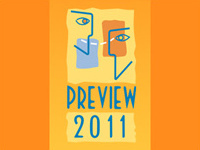 Monthly at first, the show switched to a weekly format in 2006. Hosted by Robert Welkner and Hailey Bright, it is broadcast live on the Internet. The show features studio guests, live bands and demonstrations of the latest arcade video games. Coin-Op TV Vol. 3 is out today. This DVD includes the best of 2009 broadcasts. Originally in streaming, the shows have been remastered for the DVD format. The 90 minutes feature includes interviews of personalities such as Nolan Bushnell (Atari), Ralph H. Baer (Pong), Walter Day, Robert Mruczek and Todd Rogers (The King of Kong), Dan Hower (Arcade Flyer Archive), Tim Arnold (Pinball Hall of Fame), artists of the I am 8-bit show, cosplayers and many others... The DVD is not zoned and therefore works on all players. You can purchase Coin-Op TV Vol. 3 DVD at Amazon. .
After jubeat et jubeat ripples, the third episode named jubeat knit is available in Japan since yesterday. The concept of this BEMANI game is still the same: the player must press the square buttons when they light up in unison with the music rhythm. 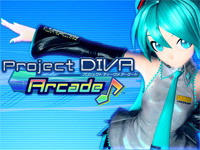 To access the next song, the player must have a minimum score of 700000. 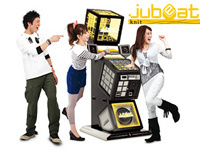 All jubeat knit cabinets are connected and players of different levels can compete on the same title. A character makes its appearance: the concierge, he guides the player in his first game and he suggests the choice of music based on the player's performance. 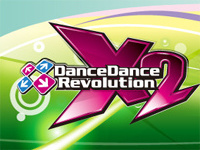 Each song has three levels of difficulty (basic, advance, extreme). 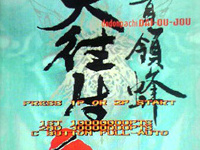 Depending on his results, the player can earn "achievement" points that enabled him to obtain additional music and markers (the images that appear when a square is lit) that will be saved on his Konami e-Amusement Pass. The player's abilities are also saved as an image called "jubility". The players will have their jubeat ripples data transferred automatically the first time they insert their card in a jubeat knit machine. The game is available as a full cabinet or as an upgrade kit for jubeat and jubeat ripples. Melty Blood Actress Again Current Code is released in Japan today. This game from Ecole/Type-Moon is an enhanced port of the PS2 version of Actress Again and runs on the Sega RingWide system although Act Cadenza and Actress Again were released on NAOMI. PS2 version exclusive characters (Ryouga Shiki, Akiha Seifuku, Shinso Arcueid) are available and Neco-Arc is back with Neco-Arc Chaos. 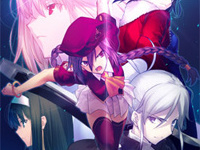 Melty Blood Actress Again Current Code features a total amount of 27 playable characters. 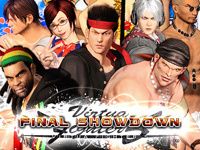 The latest version of Virtua Fighter 5 will be released tomorrow. Entitled Final Showdown, which suggests this will be the last version after many previous ones (B, C, D, R version A revision 1, ...), this new edition provides some new features as usual. First, level of characters customization: Sega raised the number of extra costumes with the arrival of "special" costumes. There will also be new moves available. A new game mode was added, the "Knockout Trial Special". But the most original innovation is undoubtedly the introduction of Twitter in the game: by linking their Twitter account to their VF.NET account, players can automatically publish their performance on Twitter. Virtua Fighter 5 R card can always be used. The thirteen episode of The King of Fighters saga is available today (in fact, it's the 17th arcade title in the series when you include special episodes). 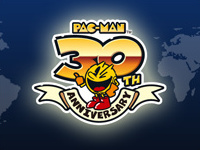 It's surely the most well-known franchise after Street Fighter to the 2D fighting game addicts. Since the release of the first game during the summer of 1994, many things evolved as for example, the hardware. SNK stayed faithful to its MVS cartridge system for a long time. The large installed base of these machines permitted a large adoption of the successive titles. This changed in 2004 with the release of The King of Fighters NeoWave and KOF XI the next year on Sammy Atomiswave platform. To revive the series and attract Tekken and Virtua Fighter fans, SNK-Playmore releases an arcade version of the consumer game KOF Maximum Impact titled "Regulation A" on Taito Type X² in 2007. While honourable, this 3D episode doesn't convince the fans who still want a two dimensions sequel. For years, SNK (then SNK-Playmore) has been accused of recycling character sprites. So they begin to redraw the main KOF characters in higher resolution and release KOF 98 Ultimate Match (a special edition of the series best game) to fill players waiting time. 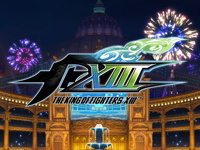 The King of Fighters XII finally hits the arcades in April 2009. Featuring beautiful graphics and high-resolution backgrounds, the game is presented in 16/9 aspect ratio but only features 20 different characters to choose from (which seems quite poor when compared to KOF XI's 40). Unfortunately, graphics alone don't make a game and gameplay changes (eg: slower, shift system missing) and the few number of levels and protagonists are decried by the frequent players. In fact, the game feels unfinished. Over the years, KOF had matured and was refined over time. It's therefore not obvious to start from scratch and successfully create a masterpiece on first try. For The King of Fighters XIII, SNK-Playmore organized many location tests to gather players feedback while keeping creating new sprites to reach a line-up of 31 selectable fighters (including Mai Shiranui, Mature, Vice, Hwa Jai, K', Takuma, Maxima, Kula, ...). Will this game be more successful than its predecessor? Without a doubt, but to which extend? The answer in several weeks. Only the full kit is released today. The ROM version (including the hard disk and security dongle only) allowing to convert any Type X² title will be available in August. The game language (English/Japanese) can be switched in the settings so you can import it for European operation without imposing incomprehensible text to the general audience.